In Shadows of Justice by Simon Hall, the Television reporter, Dan Groves, teams up with D.I. Adam Breen for a case of kidnapping, injustice and vengeance. Can Dan stem the flow of victims in time to save Adam, Claire and himself? 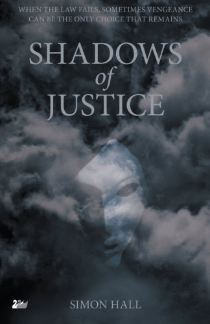 Shadows of Justice is the seventh novel in the Dan Groves series.